New Home Under Construction in Decatur's Greystone subdivision by Wallace Contracting & Design! 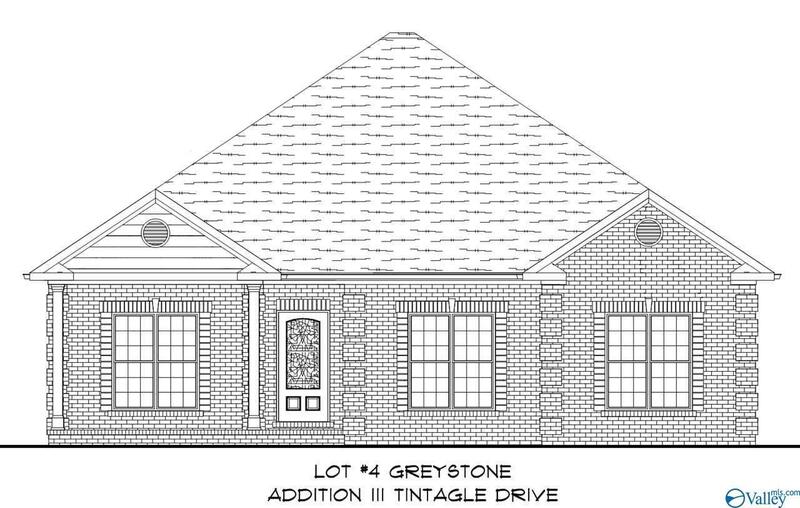 This brick patio home will features 3 Bed, 2 bath floor plan with 2031+- sq ft of living space + back rear entry 2 car garage with easy access attic storage. Covered front porch entry opens into foyer with views to the formal dining room & spacious 20x18 living room with 10'+ ceilings, crown molding,wood floors & gas log fireplace finishes! Great flow into the kitchen with eat-in island with breakfast bar for casual dining. Sunroom/Den for added living area. 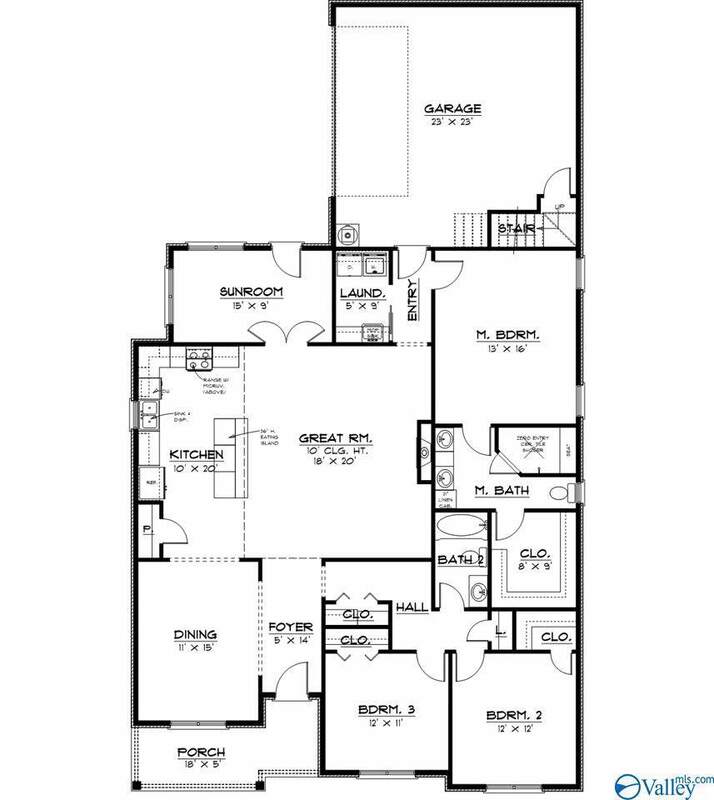 Master suite will feature glamour bath w/zero entry tile shower & walk-in closet. 1 year builder warranty will be provided.